West Baugh Fell Tarn is a lovely tarn situated on the broad plateau of West Baugh Fell about a mile or so north of Baugh Fell’s subsidary top Knoutberry Haw. 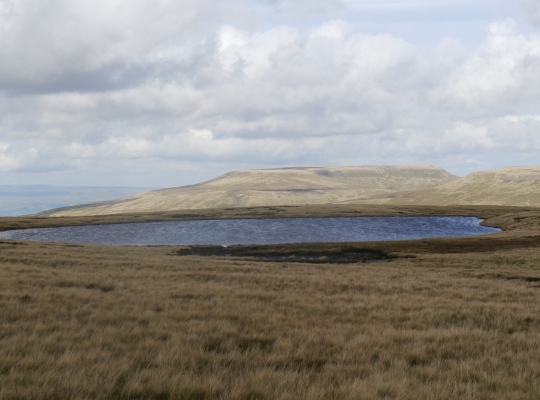 Unlike the scrappy and peaty East Tarns that are dotted around East Baugh Fell, West Baugh Fell Tarn is a large, well-defined sheet of water surrounded by grass. The views from the tarn are superb. In good visibility there is a fantastic prospect up Wensleydale in one direction and almost the whole length of the Howgill Fells in the other direction. 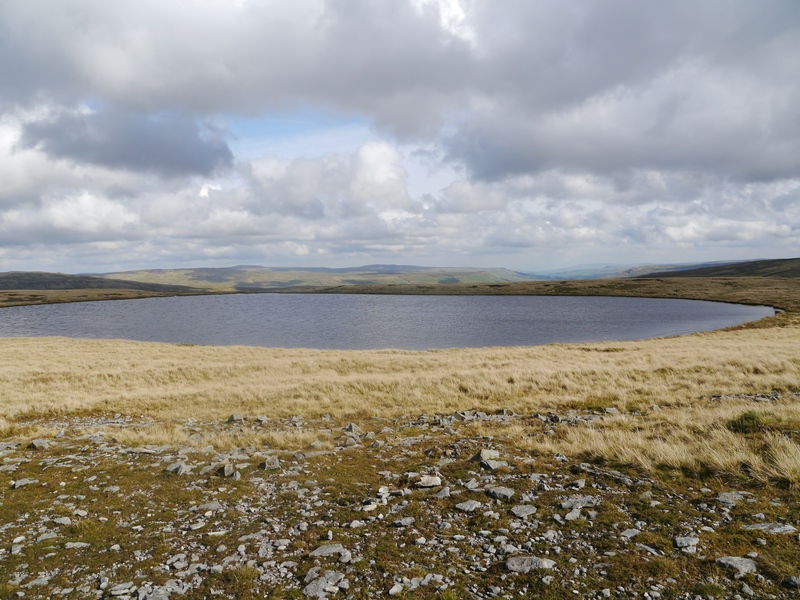 West Baugh Fell Tarn is fairly remote and there are no paths of note leading to it. 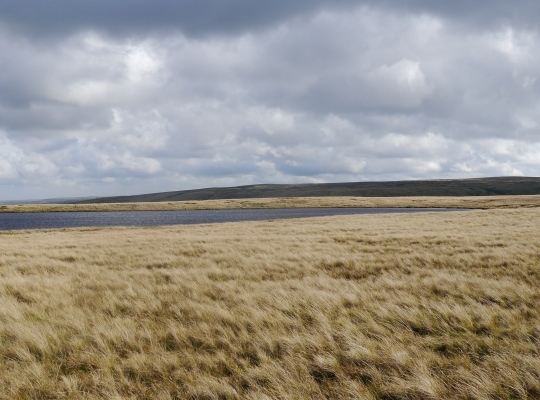 Unlike the soggy plateau to the south the area around West Baugh Fell Tarn is generally okay underfoot. Perhaps the most interesting approach is to walk half way up Rawthey Gill before making a beeline by heading west, up the side of the gill, to the tarn.